Click the PDF to the right to view the January 2017 edition of the EBRP 4-H Clovertalk newsletter. Come out and support your fellow East Baton Rouge Parish 4-H’ers as they exhibit their livestock projects! Below is a schedule of event for you to plan accordingly. 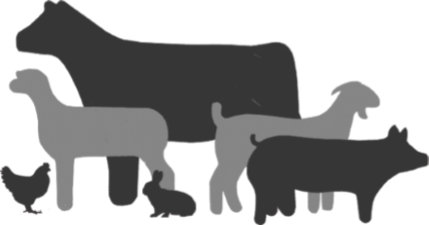 East Baton Rouge Parish Cookery will be held in conjunction with the Parish Livestock Show on Saturday, January 21, 2017 at the LSU AgCenter Nelson Memorial Building on LSU’s campus. Registration will open at 10:00 AM followed by judging starting at 10:30 AM sharp. Cookery Workshop will begin at 10:30 AM. Awards will be presented and given out following the conclusion of judging. Estimated time will be 12 noon. Divisions include: Ground Beef, Egg, Poultry, Seafood, and Sugar. Each eligible category winner will move on to the District Cookery Contest in May. For more information on the possible division, categories, and rules, please refer to page 3. Louisiana 4-H will once again host its “4-H Night with the Pelicans” on Friday, March 3, 2017. Come out and support Louisiana 4-H as the Pelicans take on the San Antonio Spurs in the Smoothie King Arena. Ticket prices vary and promotional packages are available. Please see the attached form for more info. Tickets are still available, but must be ordered by February 17, 2017. Please see the attached form for pricing and ordering information. This is a great opportunity for you! There will not be a Backyard Buddies meeting this month, rather please be aware of the Poultry Bleeding on January 7th and look for email reminders and updates! 1. Contest is only open to active 4-H Members. 2. Essay must be 750-1,000 words in length written on the designated topic with factual statements. 3. A biographical sketch must accompany each essay. Sketch should include the essayist’s date of birth, age, gender, complete mailing address, and telephone number. 4. Essays must be 12 pt font, double spaced, with normal margins. 5. Submit to Parish Extension Agent for submission to the state 4-H office. ALL ESSAYS ARE DUE TO THE EBR 4-H OFFICE BY JAN. 27, 2017. No late entries will be accepted. 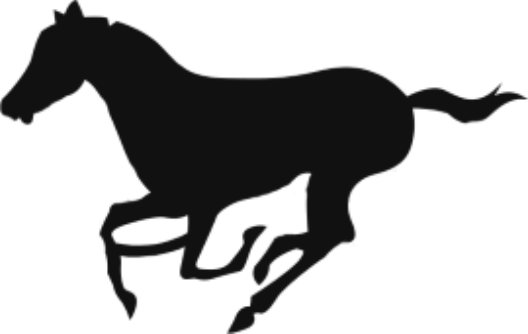 The East Baton Rouge 4-H Horse Club will once again host the Capitol Area Horse Show on Saturday, January 28, 2017. This will be an open horse show available to any and all interested participants. There will be 3 divisions for participation: 13 & Under, 14 to 18, and 19 & Up. A complete list of events and registration information can be obtained by contacting the EBRP 4-H Office, please ask for Ms. Katie. The parish cookery contest is a great opportunity for young cooks to explore their culinary skills. Dishes can be an original creation or a family favorite, internet find or Pinterest project, it’s up to you! Dishes must be prepared at home and brought to the contest for judging. Please bring ONLY ONE SERVING of the dish to be entered. For candy, cookies, and the like, please bring 3 to 4 pieces. A completed copy of the recipe (ingredients and instructions) must be presented with the dish. The serving should be presented in a standard size container or plate. Please no table décor (placemats, flower arrangements, etc.). 4-H’ers can enter one or more cookeries/divisions; however, only one dish may be entered in each category. Because of reasons concerning food safety, we suggest that you prepare the dish the night before and bring it on ice. Microwaves will be available to heat servings for judging. Must use at least 1 pound of ground beef. Chicken-must be at least 2 pounds bone-in or 1 pound de-boned. You can use whole chicken or parts such as wings, thighs, legs or breast. May use a fryer, broiler, capon, baking hen, roaster or Cornish hen. Processed chicken is not allowed. Processed Poultry Products- must use at least 12 ounces of value added (marinated, breaded, seasoned, or reformed) poultry products. Includes ground turkey, turkey bacon or sausage, smoked turkey, turkey ham, turkey rolls, chicken franks, smoked chicken, ground chicken, chicken strips or nuggets, or canned chicken. Other Poultry Meat- must contain at least 2 pounds bone-in or 1 pound de-boned poultry meat from guinea, goose, grouse, ostrich, or emu. Must use at least four eggs (whites, yolks, or whole) in the dish. The recipe must prepare only one standard size dish. No raw eggs allowed. Must contain at least 1 cup of sugar in the submitted dish. Horse Club will meet again on Thursday, January 12 @ 6 PM at Central Perk in Central. We will elect officers at this meeting and talk about the Capitol Area Horse Show. We will not have a clinic this month due to the CAHS. If you have any questions, please feel free to contact the 4-H Agent. The East Baton Rouge Parish Livestock Club will meet on Tuesday, January 10 at 6 PM at the Gas/Utility Building in Zachary, LA. This meeting will focus on the upcoming shows and assist members is making sure they are ready for the show ring. Lots of important information will be discussed, so please make every effort to attend this meeting. If you have any questions, or need more information, please contact Ms. Katie. Although going off to college is an exciting time in life, it can also be very expensive. 4-H is here to help with your financial needs through parish and state scholarship opportunities. All high school seniors in East Baton Rouge Parish must complete their 4-H Scholarship forms by Monday, March 10, 2017. Scholarship forms can be downloaded by using the LSU AgCenter webpage. We encourage all seniors to participate and take advantage of this opportunity available to them! The East Baton Rouge Parish Shooting Sports Program is moving forward with a great group of members. As we get closer to competition matches, please be sure that you acquire the minimum 8 hours of qualifying practice time to compete. Practices will be held this month on Saturday, January 14 & 28 from 9-11 AM (archery, air rifle, air pistol, and shotgun). 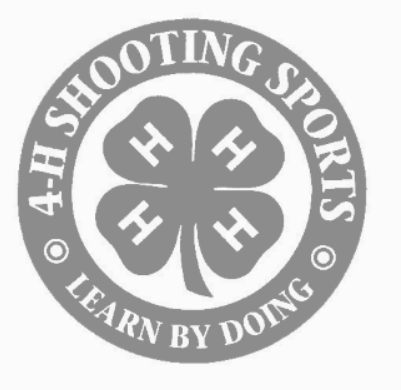 All practices will be held at the EBR 4-H Property in Baker, LA. The District Shooting Sports Invitational at East Baton Rouge will be held on Saturday, March 4. Registration will begin at 7:30 AM. All competitors must be pre-registered. Deadline to register is February 15, 2017. No late entries will be accepted. Divisions include: Jr. Shotgun (25 5-Stand), Sr. Shotgun (25 5-Stand), Jr. Air Rifle (3P), Sr. Air Rifle (3P), Jr. Air Pistol, Sr. Air Pistol, Jr. BB, Jr. Archery (Barebow, Cmpd, Genesis, Sighted Recurve), and Sr. Archery (Barebow, Cmpd, Genesis, Sighted Recurve). For more information please contact Ms. Katie.